LPG Ventures can handle the excavation and removal of bulk storage tanks, whether they are underground or above ground. Please contact us with your needs, and we will get back with you promptly. With over 20 years of industry experience, the management team of LPG Ventures understands the world market for selling complete plants – maximizing value for both sellers and buyers. When companies make the decision to downsize, consolidate, or move operations, asset disposal typically costs the organization time and money, taking valuable resources away from core business activities. LPG Ventures can provide safe, efficient, and cost-effective solutions for asset disposal using our own capital and without any investment in time or money from you our client. Selling a complete plant adds more value than selling the individual equipment and machines. Companies that typically buy used plants find added value in a complete system that includes the inherent engineering, and all the ancillary equipment like controls, pumps, valves, piping, etc. 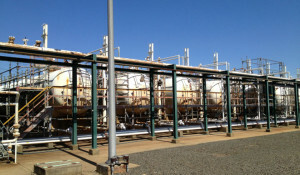 When LPG Ventures buys complete process plants for re-sale, the companies who sell their closed or idle plants not only receive a higher return on their assets, but also are immediately relieved of ongoing obligations such as utility & security costs, management time, reserves set aside for dismantlement and other carrying costs. 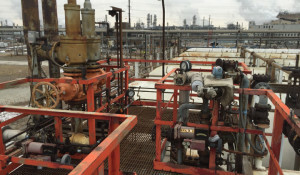 When corporations have an immediate need to remove the buildings and process equipment, LPG Ventures can leverage the value of the assets to offset removal/demo costs. LPG Ventures will buy your Plants or Equipment and you walk away with cash. LPG Ventures will sell your plant or equipment on consignment for you.